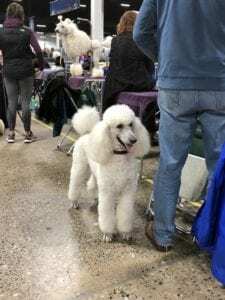 On Steve Dale’s Pet World, I begin HERE by chatting about how I just returned from the taping of the National Dog Show presented by Purina, the Kennel Club of Philadelphia. I had the opportunity to chat on two different facebook live broadcasts and discuss #dogthanking. 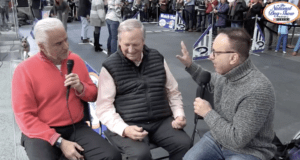 *National Dog Show announcers David Frei and John O’Hurley. Watch HERE. 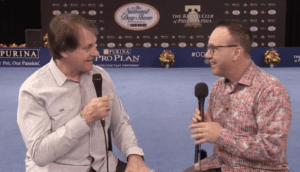 *Incredible Dog Challenge incredible dog (and animal) trainer Lourdes Edlin; we chat dog training philosophy and much more, and baseball great and founder of Animal Rescue Foundation (ARF) Tony LaRussa. Watch HERE. 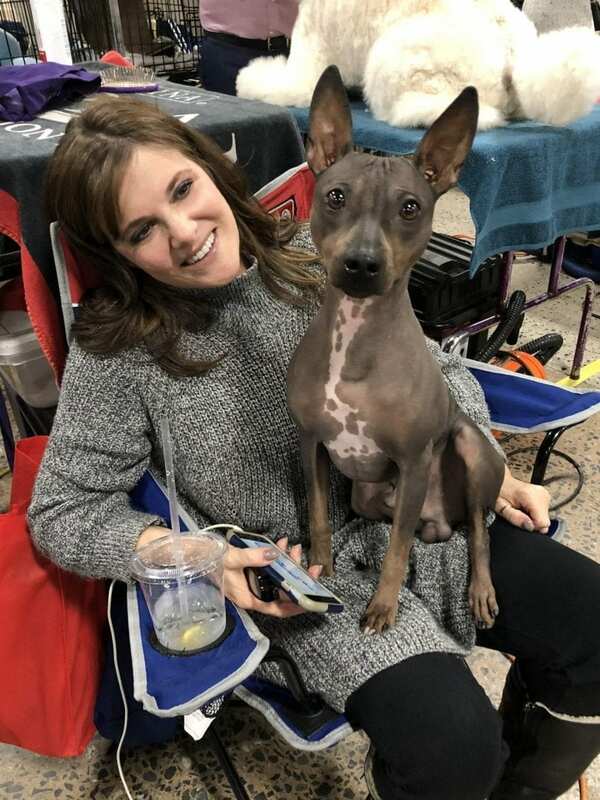 The National Dog Show presented by Purina is truly entertaining to watch, but much more than that is what Purina is doing for shelter dogs and for veterans – saving lives on both ends of the leash. Purina is helping to support adoptions from ARF and training the appropriate dogs to be service dogs for veterans. LaRussa (in the Facebook Live) notes that shelter dogs are saved and so are the veterans with PTSD who get the dogs because the suicide rate is so tragically high. And this program also allows more space in the shelter for more adoptions. Every time you (hastag) #dogthanking – and then in a phrase or sentence or two explain why yo are thankful for you dog on Twitter, Facebook or Instagram one dollar (up to a total of $25,000) goes toward the ARF Pets and Vets program. In my opinion is ridiculous that the Veteran’s Administration doesn’t officially support the use the service dogs, suggesting reports are solely anecdotal that the dogs make a difference. That’s not the case, there is scientific evidence. And even if there wasn’t, don’t our soldiers deserve whatever they believe may help them? And clearly, thousand of stories – anecdotal or not – should matter . The National Dog Show presented by Purina is on NBC at noon (all time zones) on Thanksgiving Day. Decoding the Fearful Dog is a Sound Beginning Program on December 9 to communicate the latest animal behavior news. The speakers are John Ciribassi DVM, DAVB (co-editor of the book Decoding Your Dog, authored by members of the American College of Veterinary Behavior; Steve Dale, CABC (also co-editor Decoding Your Dog) and Steve Frost, KPA CTP, SBA, CPBT-KA (Shelter Program Manager and in-home behavioral trainer who has worked on over 10,000 animal behavior cases). The indented audience for this program are shelter staff and and shelter and rescue volunteers, as well as foster homes, veterinary nurses, transport teams, groomers and dog trainers. Fee for the seminars is $75.00 (which includes dinner, snacks, and refreshments). And all groups of four or more registrants will receive $5 off for each registrant. The event is at the Fountain View Recreation Center, Carol Stream Park District, 910 N. Gary Ave. (meeting rooms 120-122). Learn more HERE about the program. 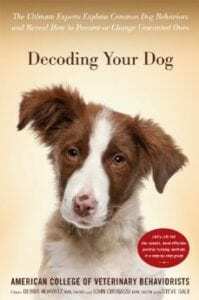 Register for Decoding the Fearful Dog is HERE. I also speak to my show’s own in-house Rich Little about a cat with a petting threshold.